The cheetah is one of Africa’s iconic animals and many of us have grown up knowing one single fact about it – it is the worlds’ fastest land mammal – but have you ever wondered what exactly makes it so? Cheetahs have evolved for speed rather than power and aggression. Their muscles, slender body, and stride length allow them to reach up to 100km/h within three seconds and achieve total speeds of up to 113 km/h! They can complete 3.5 strides per second, at nearly 6m per stride, which includes two airborne phases where all four paws are off the ground. The entire body of the cheetah, from its nose to its tail has evolved for speed, but did you know that this incredible ability to sprint into action is the result of a physiology that is very different from other large cats? Cheetah paws are less rounded than other large cats and more pointed like a canid (dogs) for speed. The claws are only semi-retractable, again unlike other cats, which means that the claws always protrude and act like cleats when running. Further, their tail is held up, acting like a rudder on a boat and allowing the cheetah to match its prey’s quick turns. Their bodies are very lightweight and less robust in comparison to other large cats, favouring speed over physical power. Nearly half of their entire weight is found in the muscles used for speed. The hind limbs contain a higher proportion of powerful, fast-twitch glycolytic fibres than other large cats, allowing for greater speeds. The muscles near the groin are enlarged to stabilize the hips during acceleration. The spine of the cheetah is the longest and most flexible of any large cat species and it bunches and coils like a spring allowing it to expand. This mobility allows the shoulder blades to extend further and increase stride length. The ribcage is also flattened to reduce air resistance. The head is the lightest of all the large cats and has the largest nasal cavity allowing more oxygen in. The cheetah’s physiology is due to its prey selection. 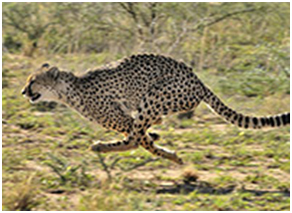 Different prey turn at different frequencies and the cheetahs turning uniquely matches its various prey. The cheetah is more focused on particular types of prey than other large cats and as a result will pursue them up to 500m and at speeds reaching 113km/h! Other large cats are built with strong teeth and jaws, and powerful forelimbs to tackle their prey, but the cheetah is a specialised and targeted speed hunter whose head and eyes never waver from their prey, staying incredibly focused. There is estimated to be less than 7,100 of these iconic animals left in the wild. To protect cheetahs, we must be as determined and focused as they are. Founded in 1990, the Cheetah Conservation Fund (CCF) is the global leader in research and conservation of cheetahs and is dedicated to saving the cheetah in the wild. 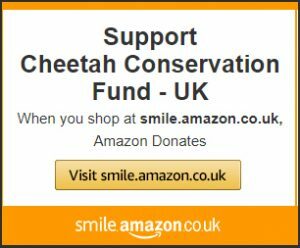 Through CCF you are supporting an established and proven multi-layered approach to cheetah conservation. 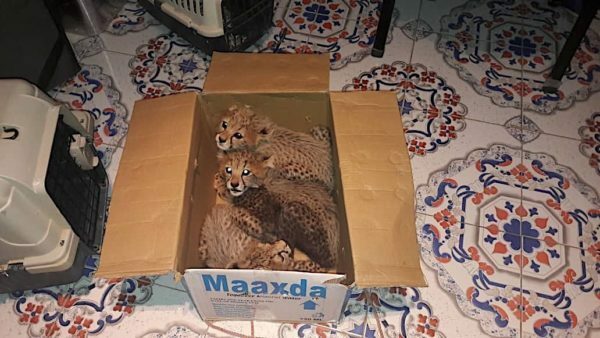 A donation by you will be targeted and focused to directly affect the wellbeing of cheetah populations in Namibia and in cheetah countries in Africa. 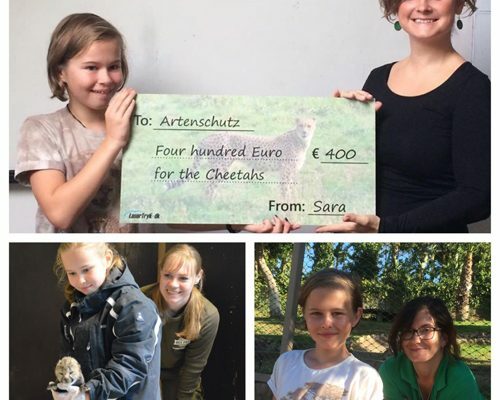 Together we can save the cheetah! Meachen, Julie et al. “Cheetah Specialization: Physiology and Morphology.” Cheetahs: Biology and Conservation. Ed. Marker, Laurie et al. Cambridge USA: Elsevier Inc. 2018. 93-105. Print. Speed Kills. Directed by Richard Slater Jones, performance by Rupert Graves. Smithsonian Channel, 2012. YouTube. The Science of a Cheetah’s Speed. National Geographic, 2012. YouTube. Speed.“EVOLVE”, The History Channel (13 episodes), 2009. YouTube.